@TheFlash what team are you on? From what I have seen only put them up if they are from this season. Putting up old banners looks tacky. Guess I’ll cancel the order for our “Team Spirit” Blue Banner. My rule of thumb is that a blue banner can be displayed if it’s from the past 3-4 years, or if it’s from the same event that we’re currently attending. Nothing wrong with displaying your banners, I would say there is probably a time limit, my own opinion would be only display ones you’ve won either the same season or the season prior, but if you’re asking whether it bothers me or not that teams display their banners in their pit? Then no, I think it’s great to show off your wins, if anything, teams should use this as even more motivation to win themselves. Honestly we don’t put up any banners. They just don’t have a good place and tend to get in the way. Blue banner(s) and Awards are celebration of a team and their achievements on the field or specific event. Its nice to display and see them. Some times it takes years to get a blue banner, it simply means there was someone else at the event who did something different or more to get it.Many teams go beyond the competition day, which impacts many young men and ladies. Nowadays we can see impact at competitions, FIRST alumns returning as volunteers from sponsoring companies. I deleted a bunch of off topic replies about the flash. This is not a chat room. 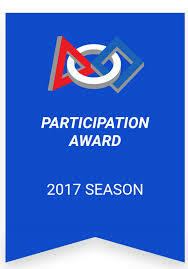 Please stay on the topic of bringing blue banners to competition. As others have said, it’s fine for teams to display banners won recently. I have no problem with teams that do this. However, my personal philosophy is that great teams don’t need to display their accomplishments to prove how good they are. You’ll be able to see their greatness from how their team members work, how they conduct themselves, and how their robot performs on the field. As a quick follow up, we went ahead and hung our banner. Kids decided to hang it by running part of the pit structure through the sewn-in pocket thing on the banner, then unroll it. Aaaaand the banner was upside down so we had to disassemble part of our pit to flip it around. I guess that proves we’re still a rookie team.